Now everyone can become co-creator and co-user of the largest detector of cosmic ray particles in history - as well as a potential co-discoverer. All you need is a smartphone and the CREDO Detector application turned on overnight. Under development for over two years, the CREDO project is entering the era of its maturity. Today, at the Institute of Nuclear Physics of the Polish Academy of Sciences in Cracow, the "first light" of the detector was presented, that is, the first data of scientific value, collected by the smartphones of project participants from around 20 countries. At the Institute of Nuclear Physics of the Polish Academy of Sciences (IFJ PAN) in Cracow, CREDO Week 2018 is in progress, a week-long series of lectures, workshops and meetings of scientists and enthusiasts involved in the building of the Cosmic Ray Extremely Distributed Observatory (CREDO) global particle detector. 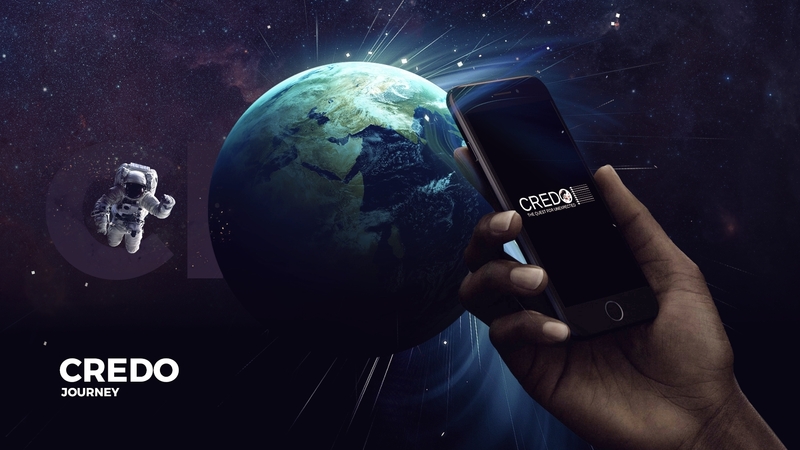 The first sub-group of detectors operating within the CREDO Observatory comprises smartphones equipped with the CREDO Detector application for Android. It transforms smartphones scattered all over the world into a single research device with unique detection capabilities. Currently, after a period of testing, the dispersed CREDO infrastructure has matured to the point where it has become possible to begin reliable observations. The first data of scientific value were presented today at the headquarters of the IFJ PAN. "Contemporary science faces challenges of exceptional technical complexity. With the cost of construction of current accelerators and detectors running into billions of euros, often taking decades to build, any alternative, well thought out design is worth our attention. That is why, together with our partners, we have become involved in the creation of CREDO, a project that is not only cheap and relatively easy to implement but, above all, with social commitment, able to provide exceptional data on the most fundamental aspects of our physical reality", says Prof. Marek Jezabek, director of IFJ PAN. The CREDO Detector application, available for smartphones with the Android operating system, is being developed as part of an international initiative initiated and coordinated by scientists from the IFJ PAN. The maintenance and development of this app is supervised by the Cracow University of Technology, and the Academic Computer Centre Cyfronet of the AGH University of Science and Technology in Cracow supervises the collection and processing of data. The project is co-financed by the governments of the Czech Republic, Hungary, Poland and Slovakia through the Visegrad Grants programme as part of the International Visegrad Fund (IVF). "Several thousand users participated in the earlier CREDO project tests. In turn, the data and graphs presented today are the result of the involvement of several hundred science enthusiasts from around 20 countries. The more of us there are, the greater the chance of valuable discoveries", says Dr. Piotr Homola (IFJ PAN), managing the CREDO project. 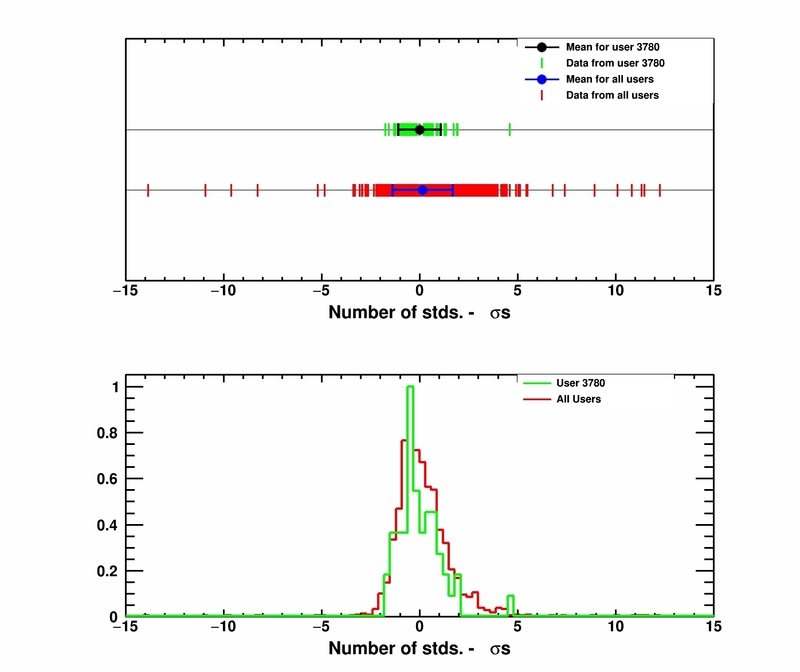 Measurements using smartphones involve registering and comparing particle detection times. Currently, it is assumed that high-energy particles arriving from space reach the Earth randomly and relatively homogeneously from all directions. However, in 1983, over a period of five minutes, a network of cosmic ray detectors observed 32 cases of large atmospheric showers over Manitoba, i.e. cascades of secondary particles initiated by high-energy cosmic rays interacting with the Earth's atmosphere. It was statistically a very distinct deviation from the expected number of detections (only one atmospheric shower was expected in this time interval!). Quantum Gravity Previewer, an experiment currently being carried out by CREDO, is looking for similar deviations, detected using smartphones in various places on Earth. Confirmation of the existence of clusters of events, which are additionally slightly dispersed in time, could, for example, indicate that particles with different energies interact in different ways with the quantum structure of space-time. "The graphs being presented today are based on raw data. Some show certain deviations from a homogeneous distribution, however, due to the small statistics, these may be only ordinary fluctuations. We will have to wait for groundbreaking conclusions", says Dr. Homola and points out: "This is what the CREDO project is all about. We are not a scientific factory, providing the public with ready, fully formulated results. With us, science takes place live, in front of the users. What's more, they can actively participate in this process, and even using the latest data they can conduct their own analyses. So with us, reaching a scientific discovery is a bit like preparing a pizza in front of the client: before we can delight in the final product, all the stages of its preparation can be clearly seen." Researchers have made efforts to ensure that the participants' contributions to scientific achievements are not left anonymous. On the project website, you can see the main graph of the experiment being currently implemented. You can assess whether the experiment is already at the level of 5 sigma accuracy required to declare a discovery. At the same time, on their sub-page, all users can check the contribution of their device in the result of the experiment. Currently, the data collected from smartphones are updated once a day, ultimately it will be presented in near real-time. Capturing out the correlations between events recorded by various detectors, mainly smartphones, would make it possible to obtain new data not only about events involving extremely energetic particles of ordinary matter, but perhaps also about the properties of dark matter particles, the nature of quantum gravity, and potentially even the deepest structure of space-time itself. The CREDO project software, including the CREDO Detector application, will be made available to everyone on the MIT licence, which means that it can be developed and used in other scientific, school and even commercial projects. "Possible Observation of a Burst of Cosmic-Ray Events in the Form of Extensive Air Showers"
The website of the Cosmic-Ray Extremely Distributed Observatory (CREDO).